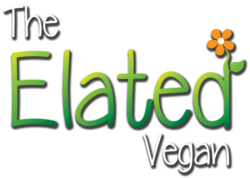 When Elated began, we were looking for a name that conveyed two concepts: 1) being a vegan is a joyful experience and 2) as consumers we have the power to save the lives of animals through conscientious food choices. So discovering that ‘Enhancing the Lives of Animals Through Ethical Decisions’ produces the acronym ‘ELATED’ was a gift from the land of impossible-dreams-come-true. However, the term ‘ethical decisions’ means various things to different people. We all like to believe that we are caring people who would never knowingly be cruel to animals. Yet by eating meat, eggs and dairy products, we cause immeasurable suffering for animals — 98% of all animals slaughtered are for human consumption. In 2010, 62 billion animals died just for food that we don’t need. Reading the literature and watching videos of farm animals being abused, mutilated and butchered leaves us feeling absolutely shattered. But what can we do? How can we extricate ourselves from the intricate web of animal exploitation that permeates modern-day society? For many people, deciding to live as a vegan is the incontrovertible and obvious solution to end animal suffering. However, others choose rather to eat free-range eggs, follow meat-free diets, or are happy to be a vegetarian after reading the identical pamphlets and watching the same movies. The reason for this is that the majority of people base their decisions on suffering and not rights. They accept that farm animals will suffer when we use them, and they categorise this suffering into stages, which they would like to believe can be ranked into greater and lesser degrees of acceptable practices. This is the basis they use for making ethical eating decisions. The concept of suffering is subjective, and when we already have a bias towards satisfying our own out-of-control desires, our judgement will be compromised. Even the bare minimum of confinement is distressing for an animal. No matter what lives they lead, all farm animals are brought into this world by means of the brutal abuse and excessive exploitation of their parent’s reproductive processes. They never meet their fathers, often do not meet their mothers and if they do they are almost always separated from them while still young and defenseless. All farm animals are sent to the slaughterhouse when they have outlived their usefulness; and the pragmatic necessity of production efficiency ensures that their death is brutal despite every assurance to the contrary. And most importantly, what right do we have to impose any suffering at all on another living being? We need to look very closely at why many of us feel so strongly that we have the right to appropriate every aspect of an animal’s life, invade their intimate bodily functions and exploit their familial bonds. Elated’s definition of ethical decisions is based on the abolitionist theory of animal rights. The moral baseline for any decision regarding an animal needs to be that their bodies and their lives are not ours to exploit. It makes the whole issue very simple, as you will no longer have to spend hours of your time and invest your emotional energy into weighing up the options. We ask that animals receive justice. Elated will support you in your transition to a vegan lifestyle, but we will never condone or promote the sale of an animal’s body parts. That action would constitute a betrayal of our acknowledgement of their right to personhood and of their place in our moral community. We put the animals first and seek to end their suffering. The important distinction between abolition and regulation is that we aim to reduce the number of animals who suffer, by abstaining from the consumption of meat, fish, dairy and eggs. We will not endorse the arbitrary distinction of less suffering being more acceptable than more suffering. All suffering is suffering, and it is never justifiable to purposely inflict suffering on another living being. However, just as suffering is subjective, so too is our understanding of moral standards. We ask that you seriously look at what constitutes conscious eating for you. You cannot hold other people accountable for the choices you make in your life. It is not up to the suppliers, the farmers, the retailers or your social circle. This is entirely your own decision. You hold the power in your hands to change the world. By purchasing the products you want, you endorse the practices behind them. Taking the time to honestly examine what you call food and why will yield dividends in terms of peace of mind and clarity of purpose. Your views will change and shift over time, but ultimately, you will realise that you cannot have one foot in each camp. You will need to decide what values you want to base your life on: greed and palate satisfaction or ethics and justice. 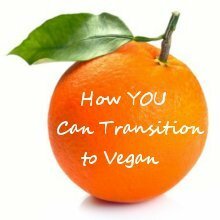 Do you have any questions about a vegan lifestyle? Contact me. I look forward to hearing from you!